YWAM Saint Lucia is a ministry of Youth With A Mission (YWAM), a global movement of Christians from many cultures, age groups, and Christian traditions, dedicated to serving Jesus throughout the world. YWAM (pronounced “WHY-wham”), unites people with a common purpose to know God and to make Him known. When YWAM began in 1960, our main focus was to get youth involved in missions. Today, our focus still remains on youth, with the participation of people aged 8 to 80. We currently work in more than 1,100 locations in over 180 countries, with more than 18,000 full time and short term volunteers. One of the joy of participating in YWAM programs or ministries is to serve with people from many nations. YWAM’s staff (known as “YWAMers”) are volunteers from all nations and numerous different Christian denominations. We believe that ethnic, linguistic and denominational diversity, along with redeemed aspects of culture, are positive factors that contribute to the health and growth of the mission. Our Mission is to serve and bless the people of Saint Lucia, and the Nations beyond its shores, to raise a generation of leaders who will love God with all of their hearts and others as themselves, equipped to extend His love to those in need here and beyond. Presently, our YWAM Centre run as a Discipleship Community to offer a “family like” environment to volunteers living on campus. We organizes Discipleship Trainings, Summer Adventures, Prayer Station, Mercy & Compassion Outreach, Bible Studies and Kids Clubs etc…. Short Term Outreaches are opportunities for us to mobilize local churches and to reach the less reached. there are other ministry in development: Community Development, Skills Trainings, Celebration etc… We also offer Opportunities to short term volunteers to serve Local and oversea. Full time Staff: Volunteer, Base Leaders managing the pioneering project of YWAM in Saint Lucia since 2011. Part Time Volunteer: Associate helping with Short term Outreaches. Part Time Volunteer: Associate helping with with Accounting, Book Keeping. Saint Lucia is a small island with a population of over 170,000 and a land area of 616.5 square kilometers and is situated on the Eastern Caribbean Chain. With a rapidly changing economy moving from a banana agriculture base to tourism base, Saint Lucia has been ranked many times as one of the world’s top honeymoon destinations. Saint Lucia’s society is going through a real metamorphosis with attractions and challenges that offer countless opportunities to invest not only in the economy but also into it’s loving people. The documentary below from youtube present the Island of Saint Lucia as a tourist destination from a Secular media perspective. 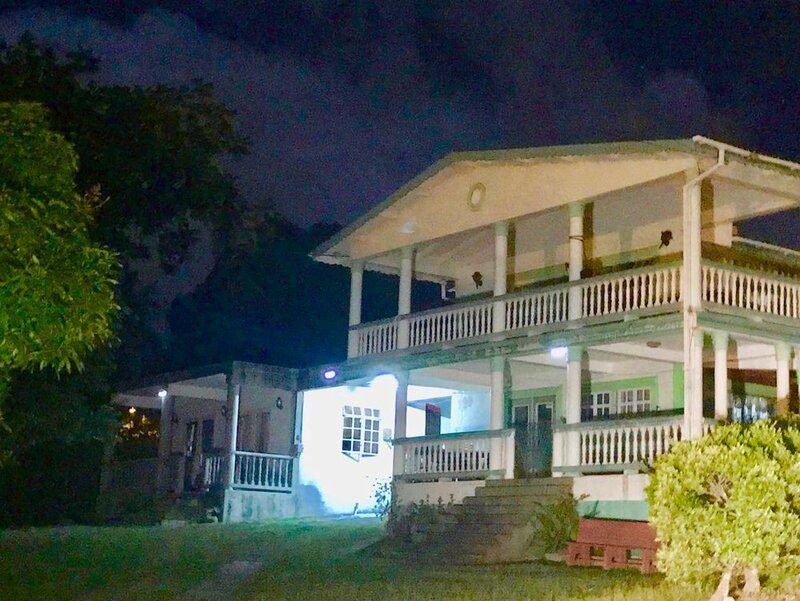 The property presently serving as YWAM Base in St. Lucia is rented and located 4 minutes walk from one of the most beautiful beach (Reduit Beach, Rodney bay). The facility include a main building and a separate apartment (use by leader and his family). - The main building consist of four bedrooms use as dorms, that can house together up to 14 persons; with its 2.5 bathrooms, a kitchen, a living room, small class room and a lot of balcony and yard space. Our training programs usually take in about 7 to 10 students , leaving options to house a few single volunteers/staff. If another couple or family shows interest, we can review the configuration in order to accommodate them. A coins operated Washing machine. WIFI access via social media credential. We are located at 200 meters from the Gros Islet Hightway, on the Reduit beach Avenue, Rodney Bay, Gros Islet. Your Requests have been recorded and sent to YWAM Saint Lucia.